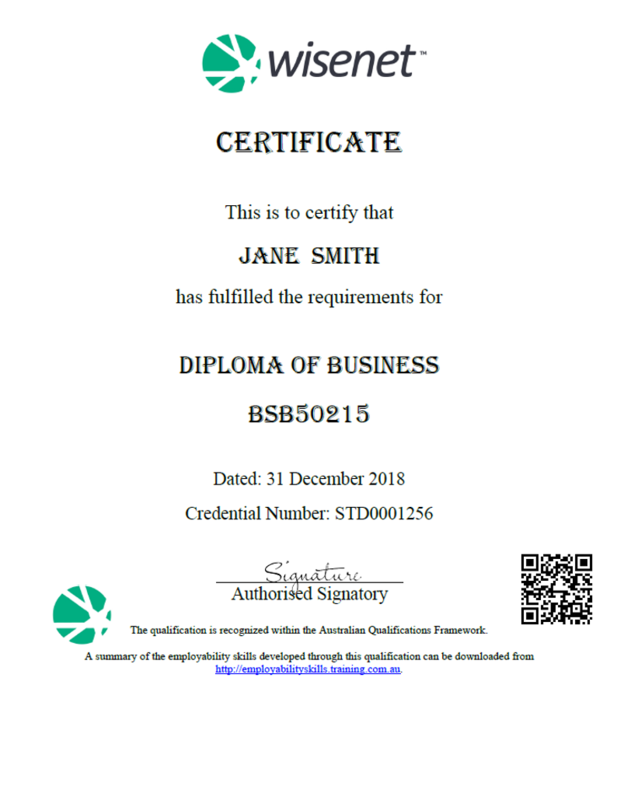 New Zealand – For Training providers under NZQA, permission is required by the Qualification Authority before you can apply QR Codes to a Certificate. If you are not currently using Wisenet Credentials or would like to start, we recommend that you see our resources on How to Use Wisenet Credentials for more details or, please log a support request and we can help. The QR Code is unique to each training organisation. Once you have turned on your access to QR Code you can now save the image to use on your credentials. Note: The QR Code contains the URL found on your QR Certificate Validation page. Once you have downloaded your QR Code, you can then insert and resize it as an image in your Credentials Word Doc Template. 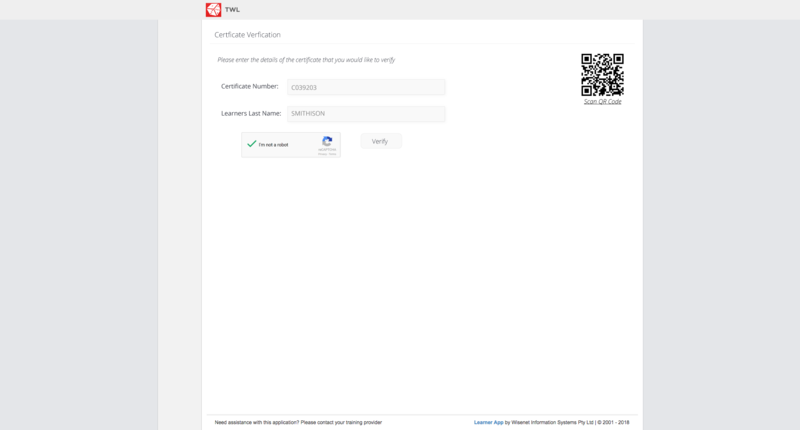 Once the credential with the QR Code has been issued, employers can scan the QR Code and enter the Certificate Number and the Learner’s Last Name to verify the credential. A Barcode Scanner App of choice will need to be downloaded on smartphones or tablets. Many modern smartphones also have QR Code scanners built into their camera software. If the Validation is successful the Employer can request a copy of the Certificate. 1. 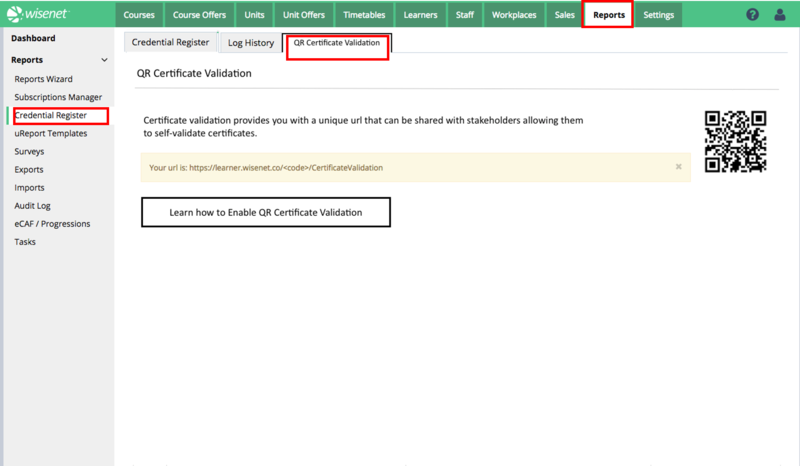 Why does a copy of the Certificate need to be sent to the validator? 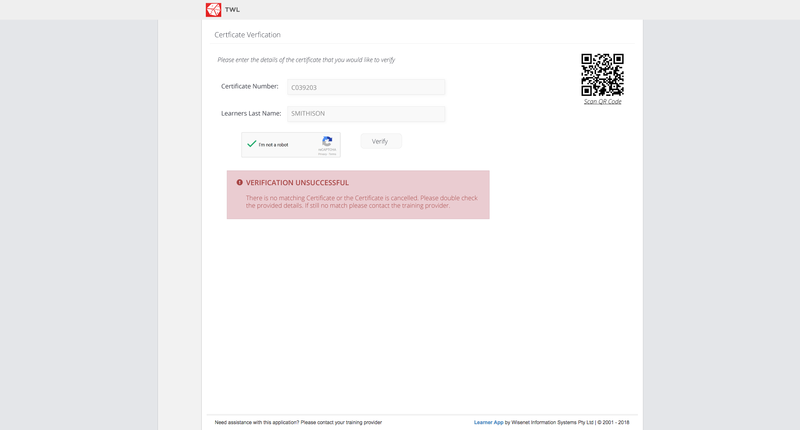 The quick verification only proves that a Certificate with the provided Certificate Number exists for the provided Learner Last Name. It does not qualify the qualification or the completeness of the units. 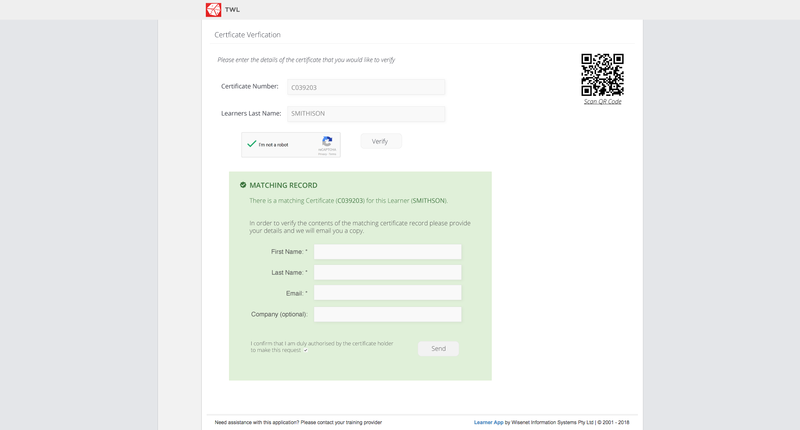 Therefore by sending a copy of the Certificate with “copy” watermarks applied, the validator is able to accurately cross check. 2. Is it a privacy issue that the actual certificate record is sent to the validator? The certificate can only be verified if the validator knows the Certificate Number AND the Learners Last Name. How would the Certificate Number be known without them having a copy of the certificate already in front of them? This email process is also audit tracking the validator and also alerts the Learner when someone validates their Certificate details. 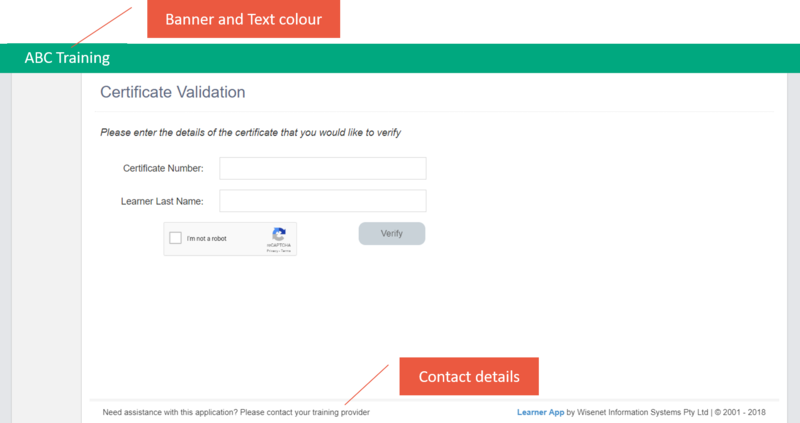 Note: If you have already customised your Learner App page before, you can omit this step. We recommend that you change your heading banner and contact details once QR Code Access has been set up (see image on right for default).